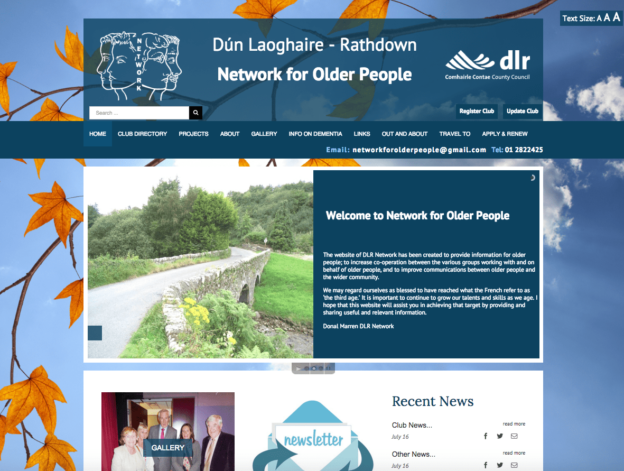 The website of DLR Network was been created to provide information for older people; to increase co-operation between the various groups working with and on behalf of older people, and to improve communications between older people and the wider community. The Network for older people work in co-operation with the Community Section of Dún Laoghaire-Rathdown County Council. Liaising also with other bodies for mutual interest, the Network has without doubt been instrumental in improving the quality of life of Older People since its inception.